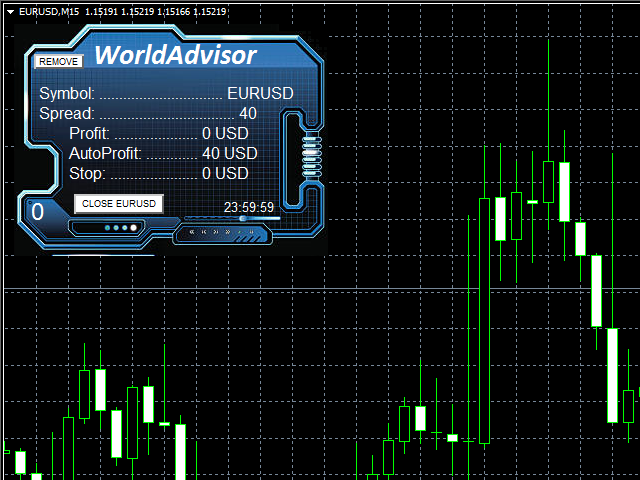 WorldAdvisor is an automated expert Advisor with a great potential of trading strategies. The main feature of this EA is the presence of a function to reduce drawdown and output to breakeven trading account. 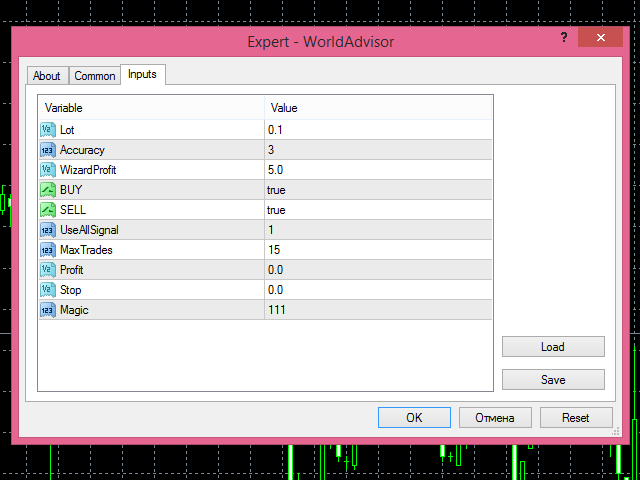 The expert Advisor is installed in the usual way, works on any time period and with any trading symbols, you can use it in multi-currency mode, setting it on different charts. Recommend optimization of the EA parameters Accuracy (1 to 30) and WizardProfit (1 to 500). Optimization is carried out for the last month, it is enough for the stable operation of the EA. Repeat the optimization on different time periods and choose the best result for the lowest drawdown and the highest profit. For the EA to work in multi-currency mode, it must be installed on different charts of different trading symbols. Do not forget to specify different Magic values on each chart in the EA settings. 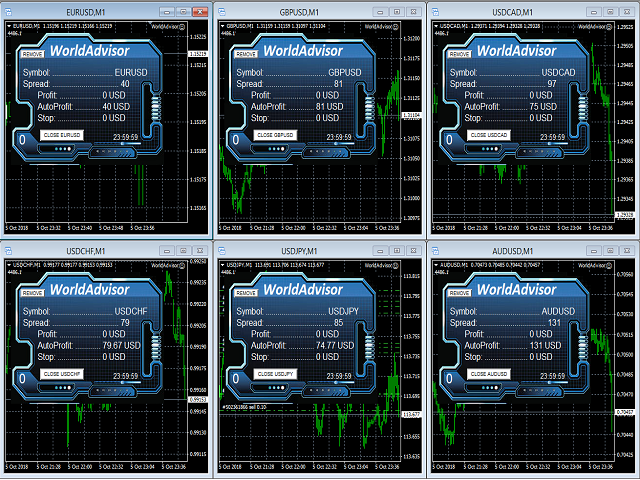 I recommend to optimize the parameters for each currency pair.